Porsche owners from all over the US and their beloved cars descend on Eureka Springs on this beautiful fall weekend filled with tours, drives, dinners, show & shine, and ladies’ “tea”. Registration opens on website, Oct. 1 at 6 a.m.
Come and join us in thanking and honoring our Veterans. 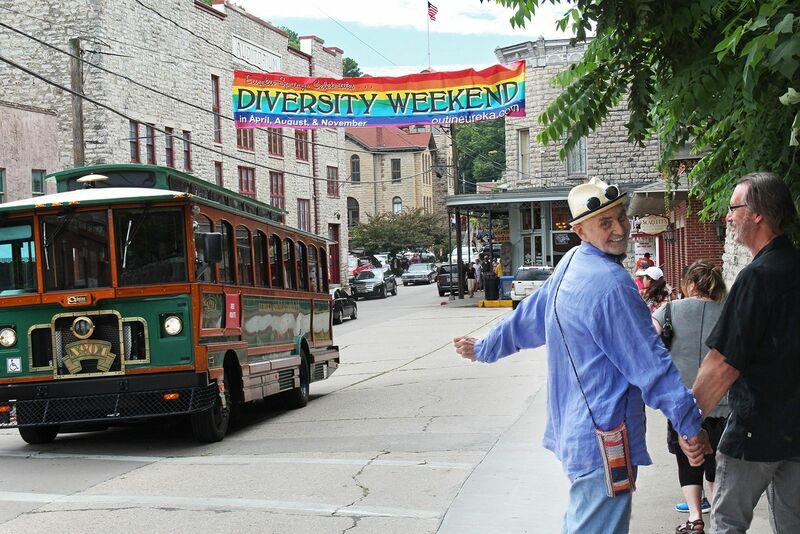 Parade on Nov. 11 at 10 a.m. through downtown Eureka Springs. The Auditorium presents a Top 2019 Holiday Dance Spectacular for some of the most talented young dancers of all ages in our region. Come and be inspired by these youngsters during their competitions, convention and pageant. View website for registration information. Nov. 24 at 5 p.m.
Quality antiques brought by fine dealers from across the midwest! Friday, Nov. 22 : 12 to 6 p.m.
Saturday, Nov. 23 : 10 a.m. to 5 p.m.
Sunday, Nov. 24 : 10 a.m. to 4 p.m.
Children 8 and under: Free. Free parking. Tickets valid for entry all weekend. Nov. 28, 8:30 to 11 a.m. This event will be held at the Lake Leatherwood City Park just outside of Eureka Springs, Ark., on Nov. 22. Both runs start at 8:30 a.m. Participants arrive at 8 a.m.. The start, finish, and signup location is at the baseball and soccer fields. Nov. 30, 2:30 to 4:30 p.m.
Momandpop will be playing. Santa will be available for Santa Selfies and the Carroll County Library will be reading holiday books. At the Shop Small Headquarters at Eureka Clothing Company (31 Spring Street), 100 people will receive a local retail, dining or spa gift certificate and Shop Small Bag and their game card for a chance to win a trip back to Eureka Springs. To enter with your Game Card you must be in Basin Spring Park at 4:30 p.m. The Basin Park Christmas Tree Lighting is also at 4:30p.m.